So, we all tend to focus on the first part of the interview, what attire to wear, what questions will we be expected to answer, how to put our best foot forward? But what about the rest of the interview? How do you end strongly in order to make a good LASTING impression? Lee Botti & Associates outline some of the questions you should prepare in order for your potential bosses to remember YOU over your competition! Remember that you need to ask these questions for yourself in order to know whether or not you want the job as well as to impress your potential bosses with clever questions that make you seem interested and engaged. What to ask when the dreaded “Do you have any questions for me/us?” question comes up? Besides asking the obvious questions about organisational structure, the company business model or the type of work you will be expected to do, there are some additional questions that may be of more benefit and educate you a little more on the job before accepting an offer. 1. What are the company goals for the next year and or next five years? Do you see your new employer helping you reach those goals? These questions should be asked to help you understand the company more and gain insight into whether they have goals or not. 2. If personality or qualities have not already been discussed in the interview, now is a good time to ask what qualities someone will need to possess to excel in this role. This is a way for you to determine for yourself whether you want the job or not. 3. Asking the interviewer what some of the challenges this role will bring, will show that you are both prepared and insightful. 4. Ask them what the possible career path looks like for the potential candidate. Employer’s want to know that you’re someone that will be committed to the company for a long time. This question will also show off the fact that you are ambitious. Just be careful not to come across as pushy about a promotion in the near future. 5. One of the questions you can and should ask (although it is risky) is: “Do you have any reservations about my fit for this role?” This question gives you the opportunity to gain feedback and perhaps even defend yourself if the interviewer points out a negative quality that they think you possess that perhaps makes you unsuitable for the job. 6. Before leaving the room, you will need to ask what the next steps of the interview entail and when you can expect to be contacted by. This also establishes the time frame for a hiring decision. You need to come across as confident that you will see them again. 7. This is not a question but a definite must-do! Don’t forget to thank your interviewer/interviewers for the chance to come for an interview and show them your appreciation for their time. 8. After asking some of the questions above, it is vital that you make a strong closing statement and reinforce your key strengths so that the interviewer remembers you. 9. Remember not to ask about your potential salary or benefits just yet. 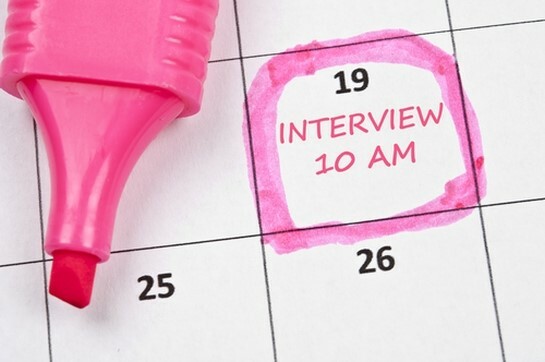 Rather wait until the final steps of the interview process to negotiate or discuss these details. Bigger companies may even do this through their HR department. Contact Lee Botti & Associates for your job and or recruitment needs.